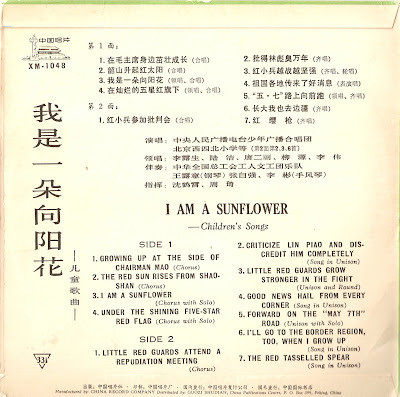 "I Am a Sunflower" is an album of Maoist kids' songs. 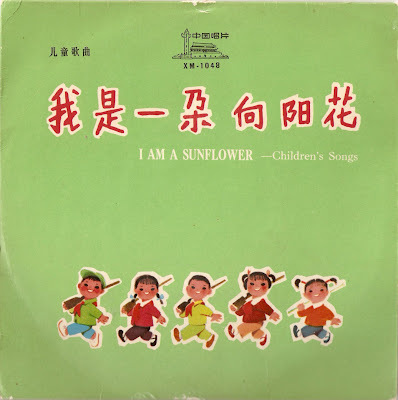 The tiny rifle-wielding tots on the cover are singing joyful songs like “Criticize Lin Piao and Discredit Him Completely” and "Little Red Guards Attend a Repudiation Meeting." Such fun!